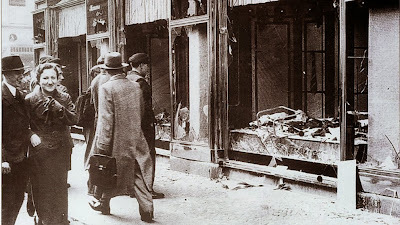 Home Editorials Kristallnacht: Never again? effort to control the mobs that carried out these crimes. recently occupied by German troops. Germany since 1911, were among them. the diplomatic official assigned to assist him. during Kristallnacht, the Night of Broken Glass. November 10, 1938. Photo credit: Hauptstaatsarchiv Stuttgart, courtesy of USHMM Photo Archives. concentration camps. 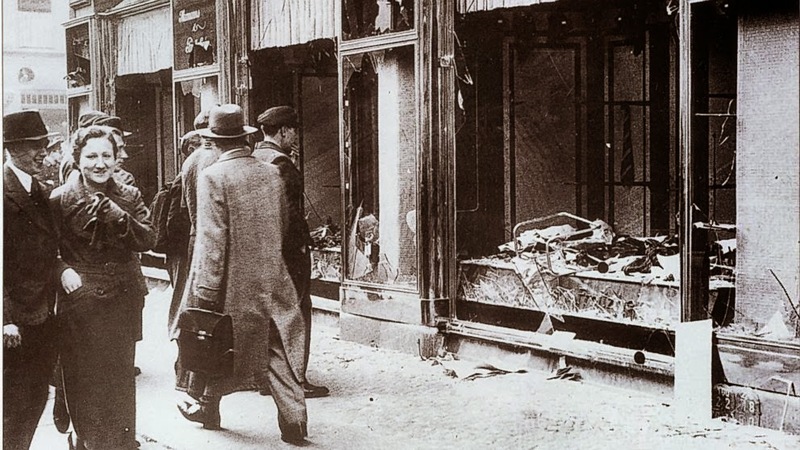 Over 1,000 synagogues were burned or damaged. 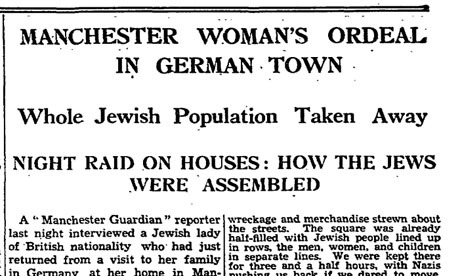 The Manchester Guardian’s first reports of the pogrom appeared on 11 November 1938. 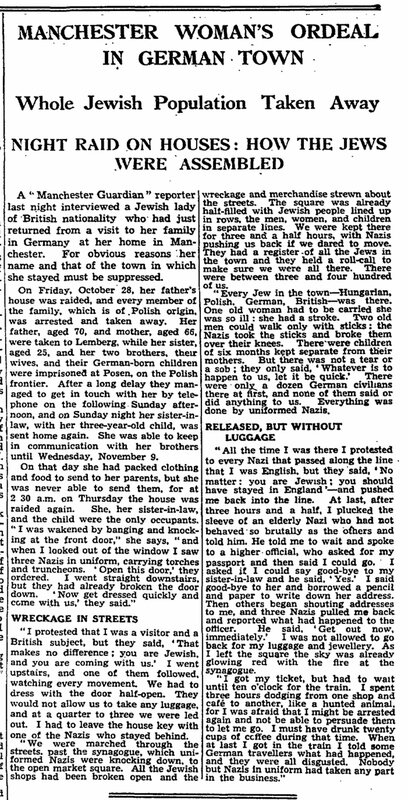 The Manchester Guardian, 11 November 1938. . 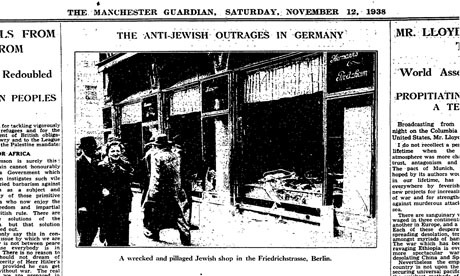 The following day, the paper carried a number of reports and pictures about the attacks, including the news that anti-Jew laws were to be introduced in Germany. 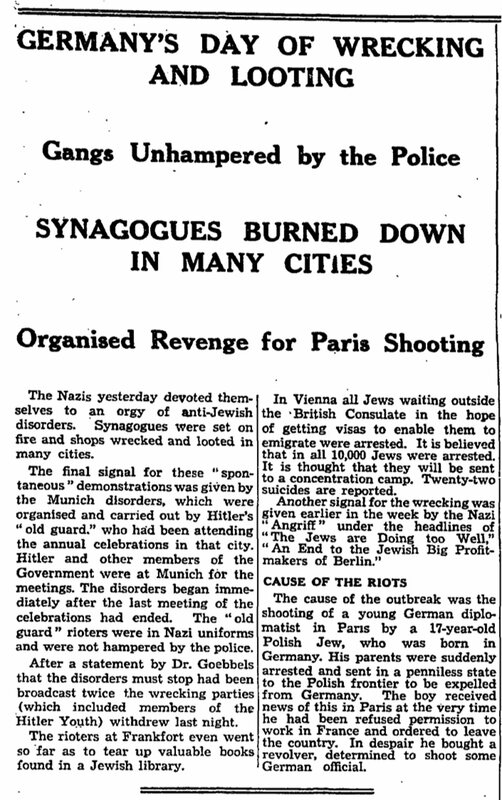 The Manchester Guardian, 12 November 1938. There was a piece about the ‘Aryanisation‘ of Jewish property as well as a chilling interview with a Manchester woman who had been caught up in the violence and arrests. richmond, va. | It was Nov. 10, 1938, about 2 p.m.
his family’s home in Haltern, Germany. now as the day Jews were attacked throughout the German Reich. Lebenstein still gets emotional when sharing his story. “One of the men grabbed my father by the shoulder and spit in his face. through the windows. My mother was screaming: ‘Let’s get out of here. be finished soon and we could go back home,” he said. 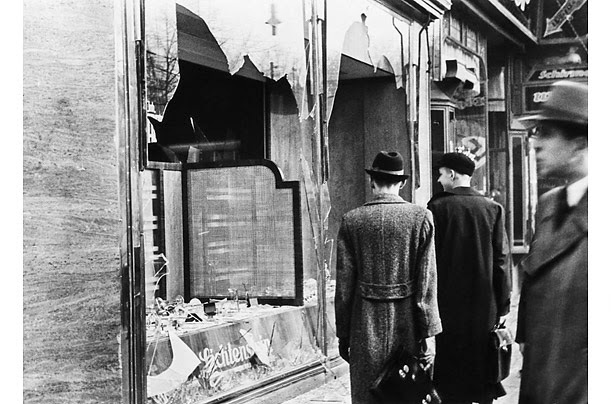 about Kristallnacht changed his mind. He still has the letter. why I go there,” he said. report to the British Foreign Office. the latter’s release from Buchenwald. worst pogrom in Germany since the Middle Ages. What is also noteworthy about the documents is what they do not contain. unanimously condemned the murders and acts of violence and destructions. of the Armenians,” referring to the Turkish genocide of 1915-1916. Samuel W. Honaker, the US consul-general in Stuttgart. 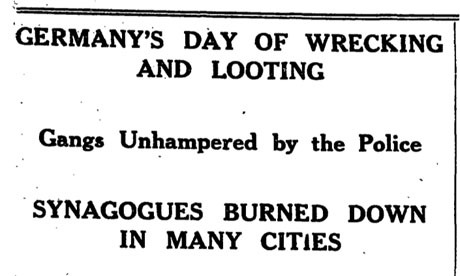 total of 1,406 synagogues were burned down. large letters on the shop windows. As instructed, the perpetrators were not wearing party uniforms. the death of Rath, the diplomat — and that the police were powerless. Not content to keep the violence to New York City (Brooklyn and Queens), anti-Semites have decided that the Jews of Highland Park, New Jersey must be the next victims on their list. The central New Jersey community of Highland Park was targeted Tuesday night in a series of anti-Semitic attacks on at least five Jewish-owned establishments. At least three other Jewish-owned establishments in nearby New Brunswick were also similarly attacked, including the Rutgers Chabad House, the Rutgers Hillel and an Israeli-owned falafel eatery…. are attacking and beating and robbing Jews in the New York area. Atlas Shrugs has MANY more here. “Never again” rings very hollow, doesn’t it? Where is President Obama as Egypt’s Coptic Christians Die and Churches Burn? begun to notice President Obama’s silence. destroyed, Christians have begun to notice President Obama’s silence. torched or stormed across the country. security forces dispersed two large pro-Morsi sit-ins in Cairo. before being killed by armed individuals. Violence out of control in Egypt. Over 700 dead. Upwards of 40 churches burned. Go read the accompanying article here. This targeting is not unique to Egypt. 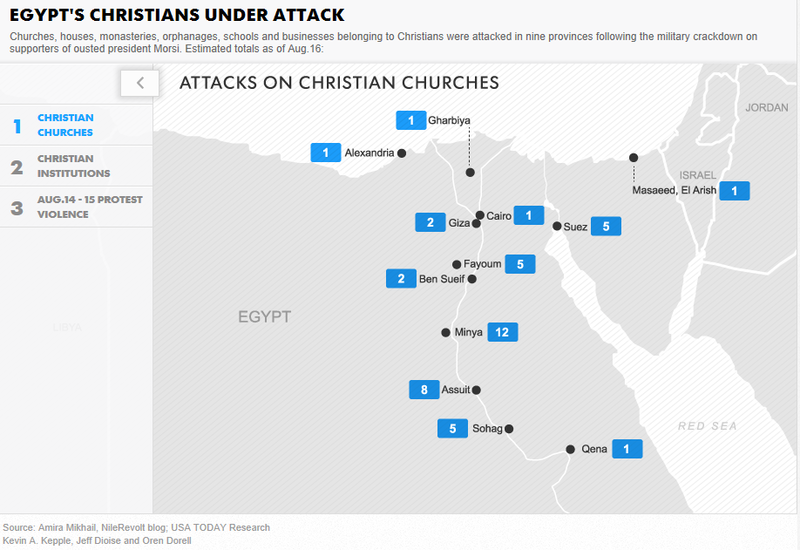 Every.single.day reports surface of Christians around the world being murdered. Nigerian village when he heard gunshots. James Anthony, and 15-year-old Happiness Anthony. The bodies of Happiness and Meshack were buried in one grave, and those of the other five in another. those killed were members of the St. Andrew’s Catholic Church in Adu…. 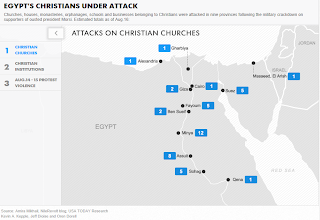 result, Christians in Iraq remain continuous targets of violent attacks. labelled as specifically targeted against Christians. women’s t-shirt, was deactivated by a military engineering team. 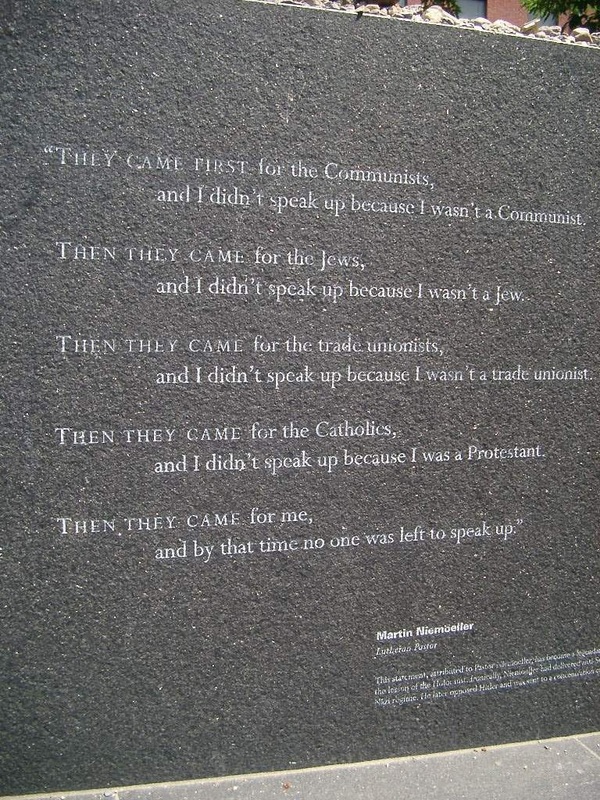 And the list goes on and on and on of Christians being prosecuted, murdered: Kenya, Syria, Iraq. 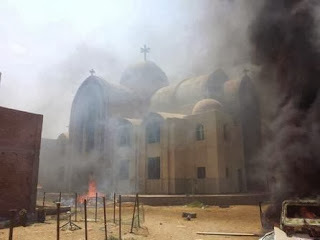 For ongoing coverage of these crimes against Christians that world msm and politicians choose to turn a blind eye to, go to Jihad Watch, who has daily updates. the global community continues to cling to their wilful ignorance. Holocaust Survivor Henry Greenbaum so aptly says in this video: “Human beings are capable of doing anything.” As current events continue to prove we ignore – or choose to ‘forget’ such atrocities at our peril. NEVER again? NEVER forget: Tyranny STILL rampages in neighbourhoods around the world.